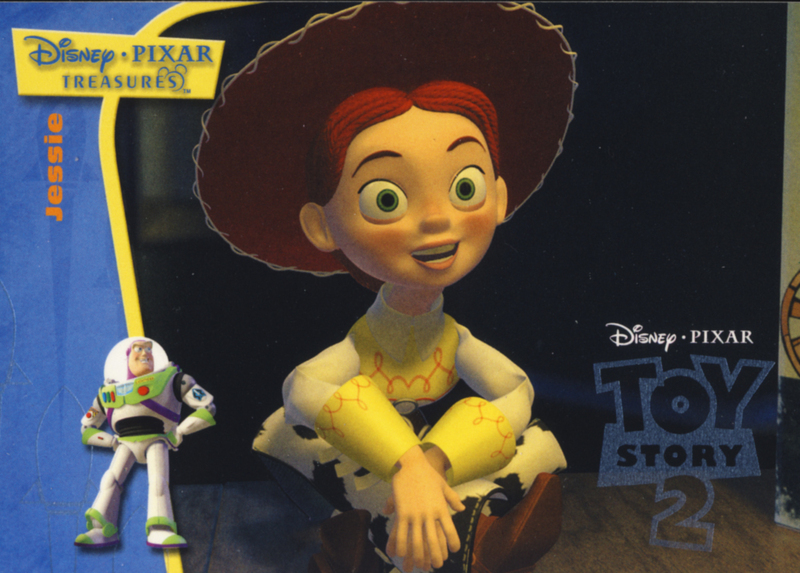 All About Sports Cards: A retro box break of 2004 Upper Deck Disney Pixar Treasures Collectible Trading Cards with a really nice hit. 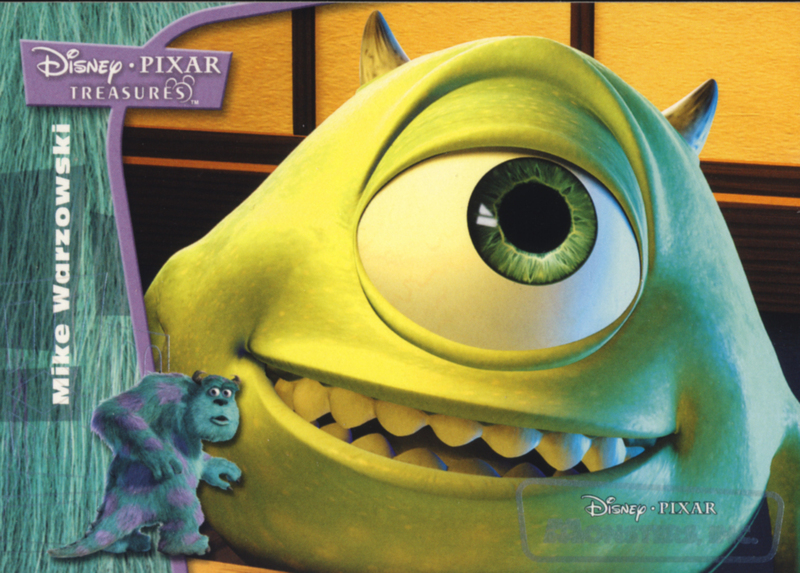 A retro box break of 2004 Upper Deck Disney Pixar Treasures Collectible Trading Cards with a really nice hit. 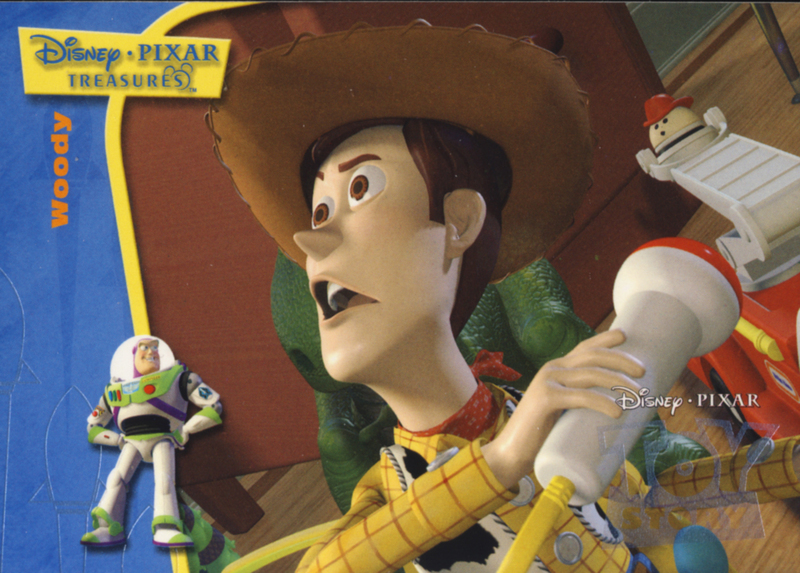 Continuing our Pixar weekend, we bring you a box break of 2004 Upper Deck Disney Pixar Treasures. 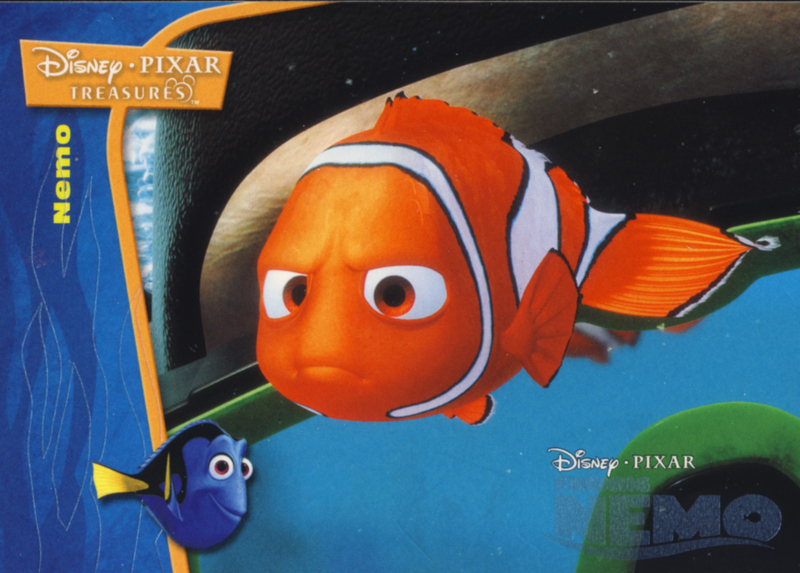 Except for some limited edition fun cards that were passed out for free at movies theaters, these cards represent the last time a true set of collectable trading cards were released based on all of Pixar films. They recently resurfaced and I grabbed a sealed box, waiting for the right moment to open them. This weekend just seemed like the right time. The box contains 24 packs with 5 cards per pack. 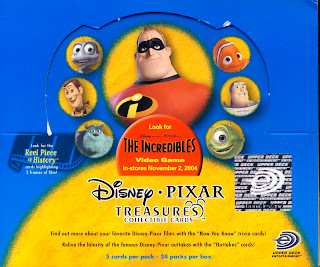 These cards were released right around the time "The Incredibles " hit movie theaters, so the majority of the cards concentrate on that movie. 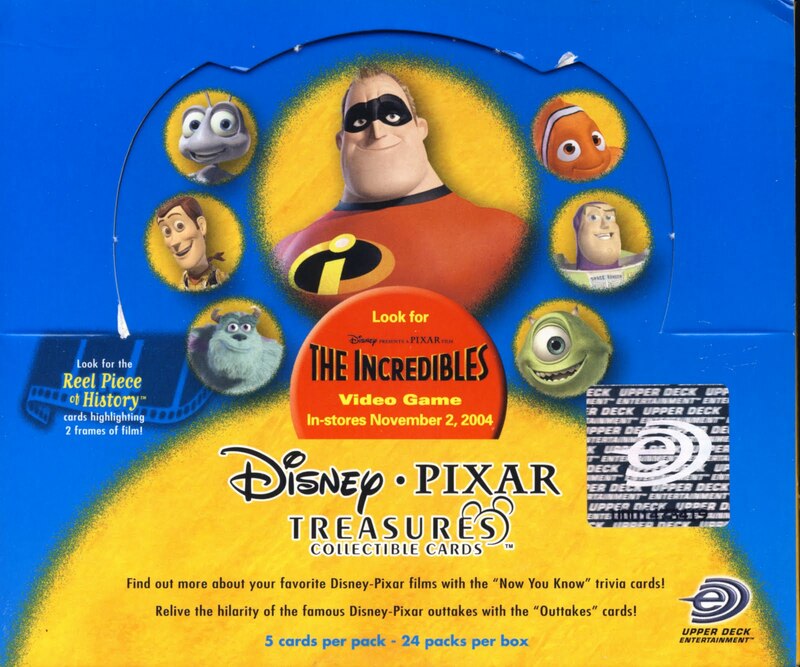 The usual pack breakdown is 2 cards from any of Pixar's previous films which include Toy Story , A Bug's Life , Toy Story 2 , Monsters Inc . and Finding Nemo , then an insert card and finally two cards from The Incredibles . 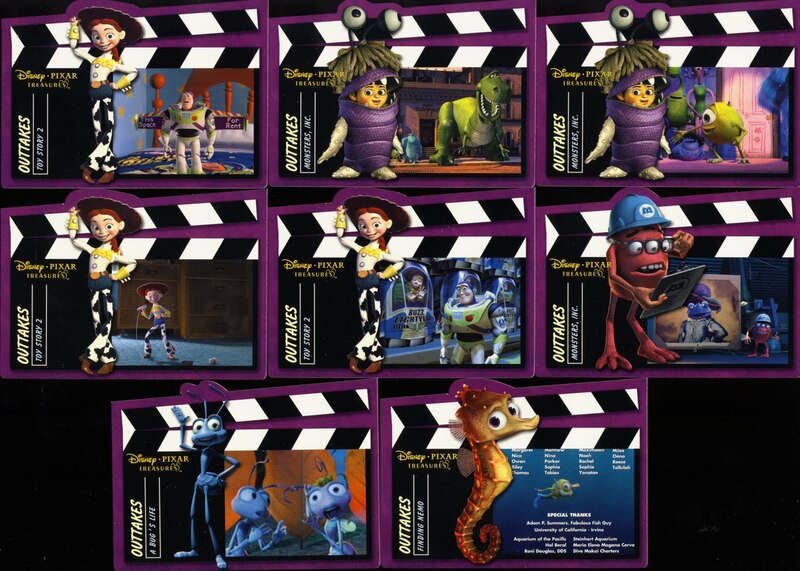 Because these were released in 2004, you will not find cards for the movies Cars , Ratatouille , WALL-E, Up , Toy Story 3 or Cars 2. Perhaps it is time for update set. 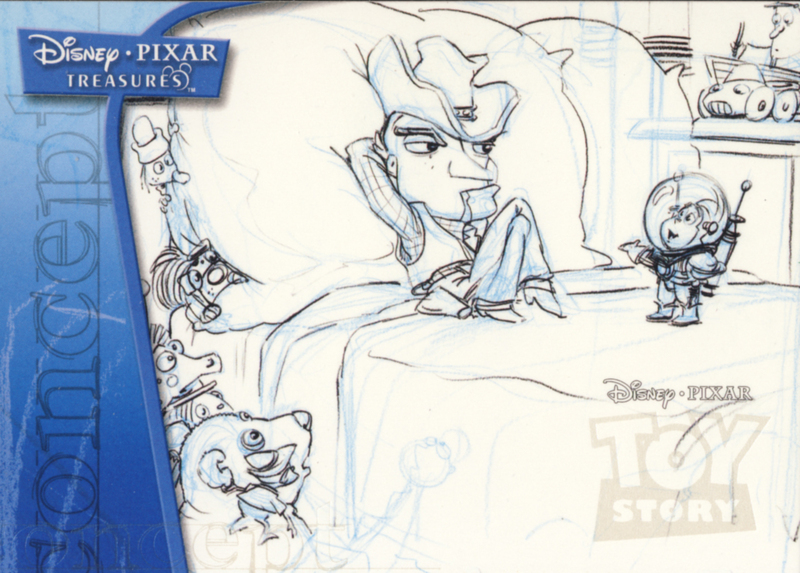 Here is a look at the base cards for the set. On the back of all of the cards there is a write up and on the lower left hand corner, Upper Deck's diamond holographic foil stamp. There are three insert sets to chase. 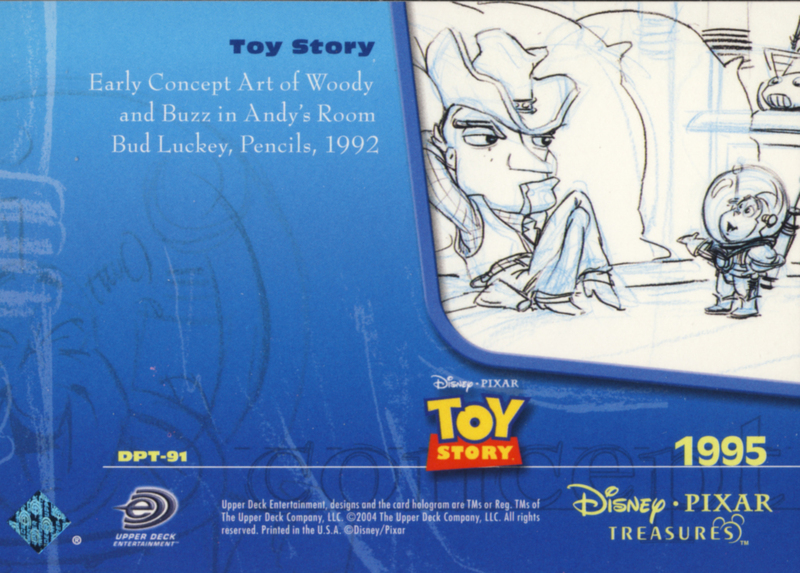 Concepts - highlighting original concept art for the movies. 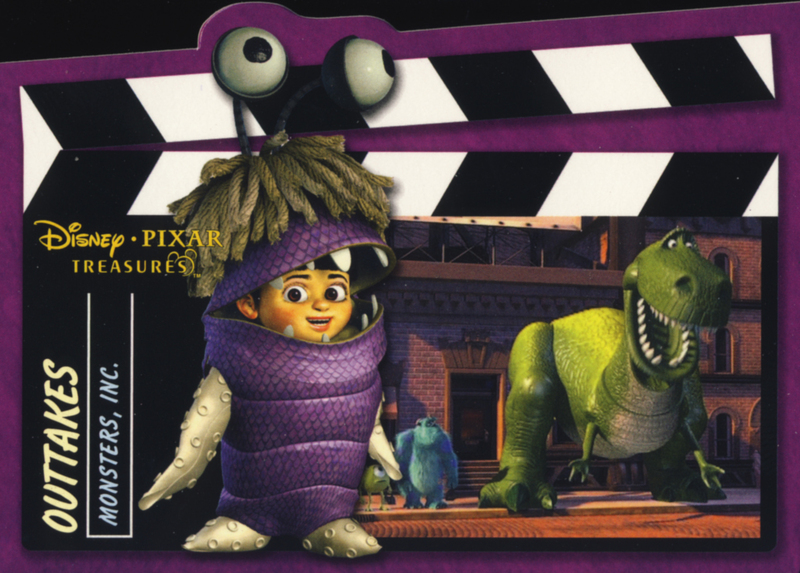 Now You Know - providing plenty of Pixar trivia. 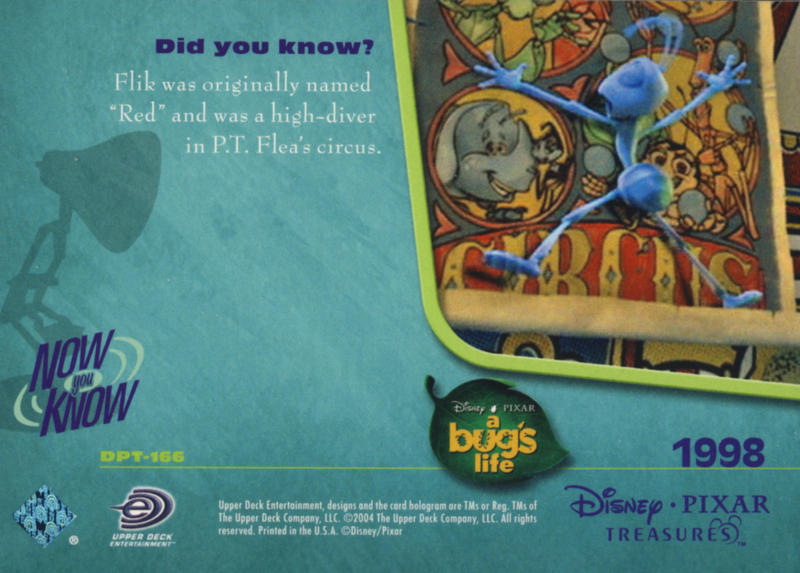 By the way, did you know that Flik, from A Bug's Life, was originally named "Red" and was a high-diver in P.T. 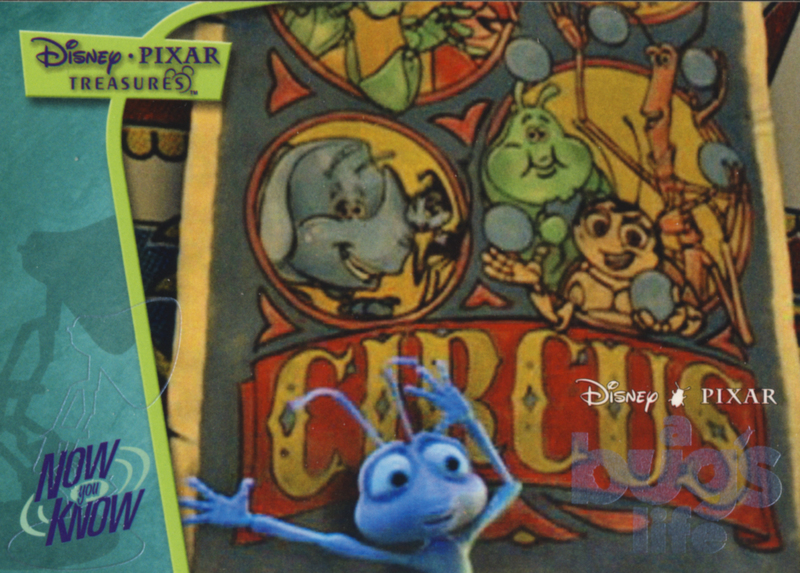 Flea's circus? 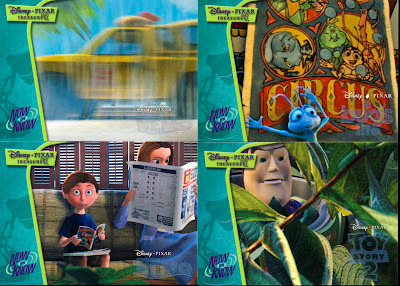 Outtakes - recaps of the best of the "outtake reels" from the end credits of the Pixar films. 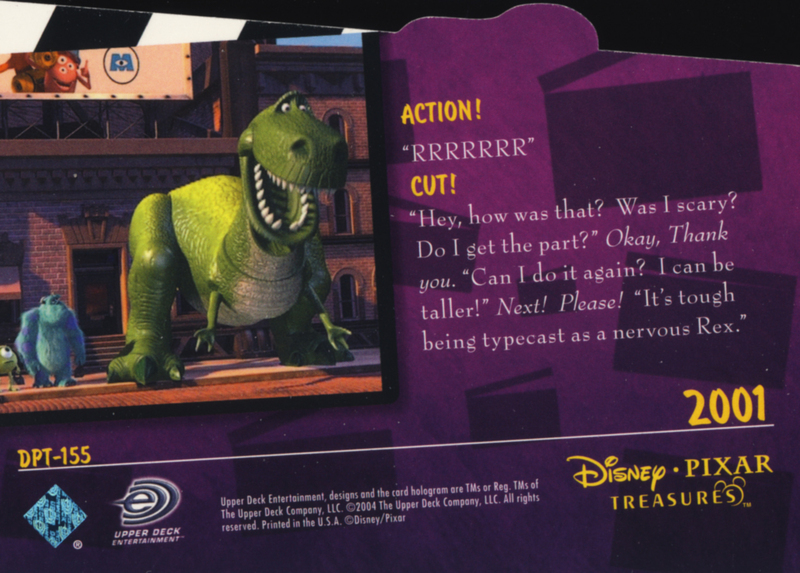 It is hard to tell from the scan, but these are die cut at the top of the card. 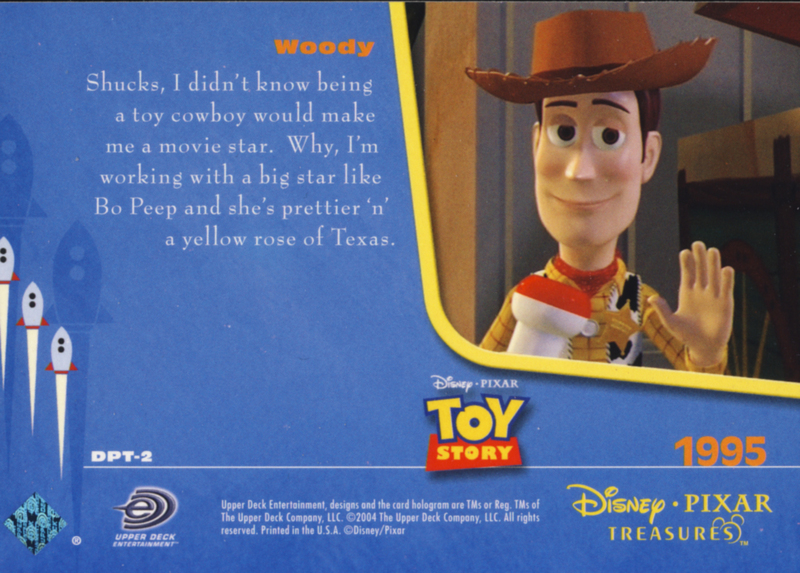 So here are the 'star" character cards we pulled from the different movies. 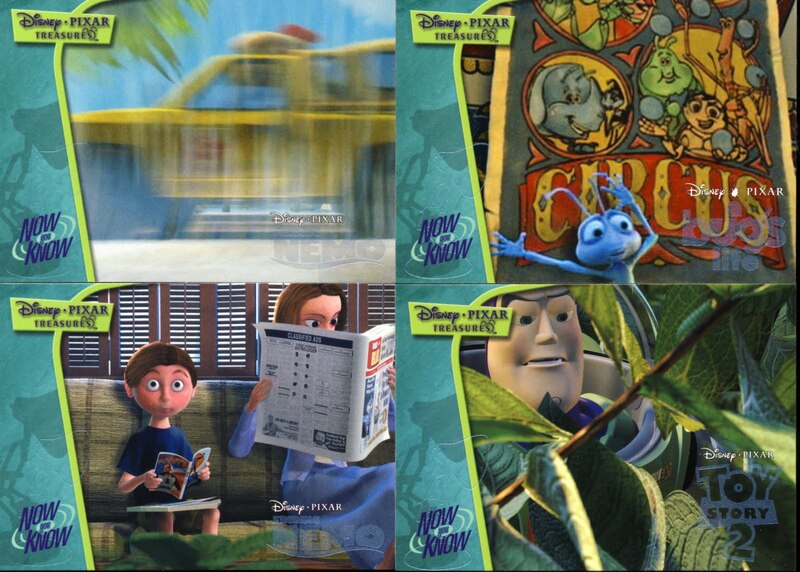 Here are the inserts from the box. 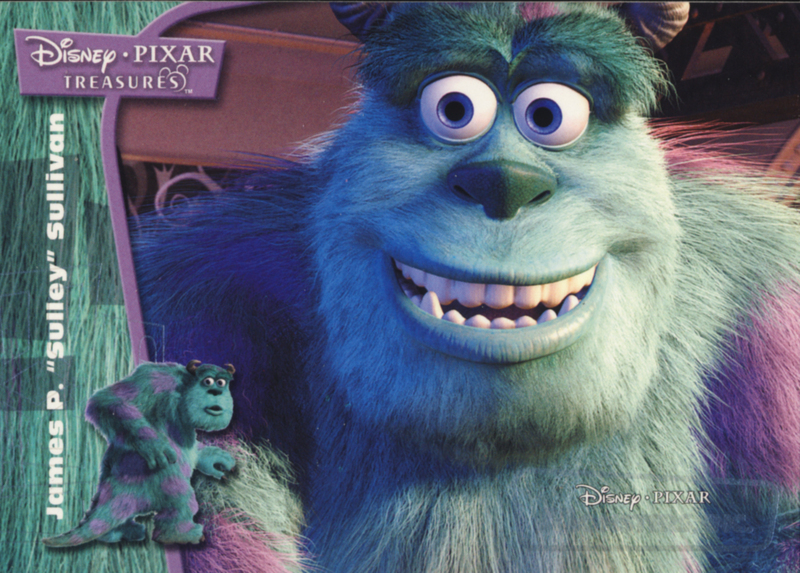 But the big hit for the box was this. 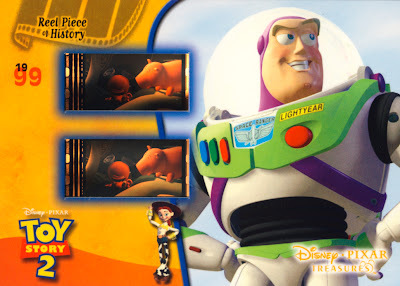 Reel Piece of History - imbedded in the card are two frames of film from a print of Toy Story 2. According to the back of the card these frames were taken from the main theatrical release of Toy Story 2. 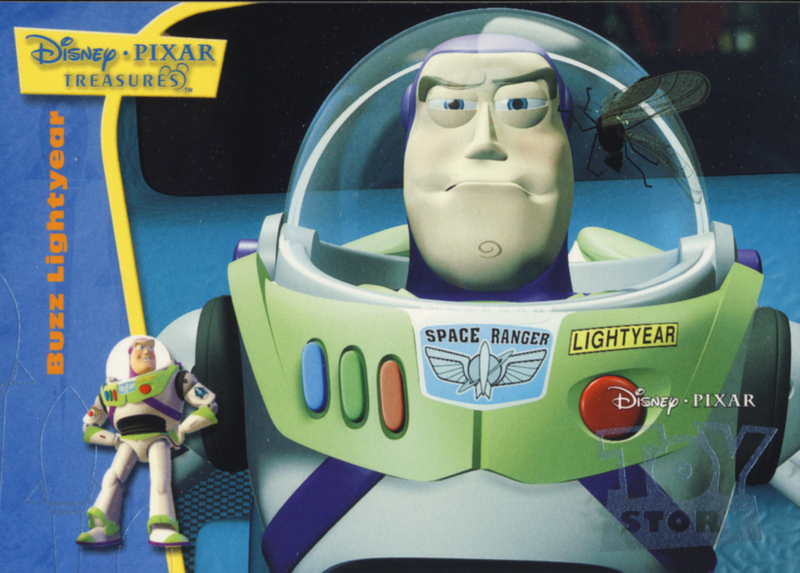 If you look closely you can see the film sprockets and the film's soundtrack, which are the two sepia toned lines on the left side of the frames. 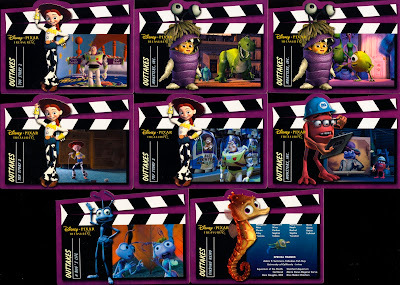 There are 5 variations of the Reel Piece of History cards, one each for the movies Toy Story, A Bug's Life, Toy Story 2, Monsters, Inc. and Finding Nemo. 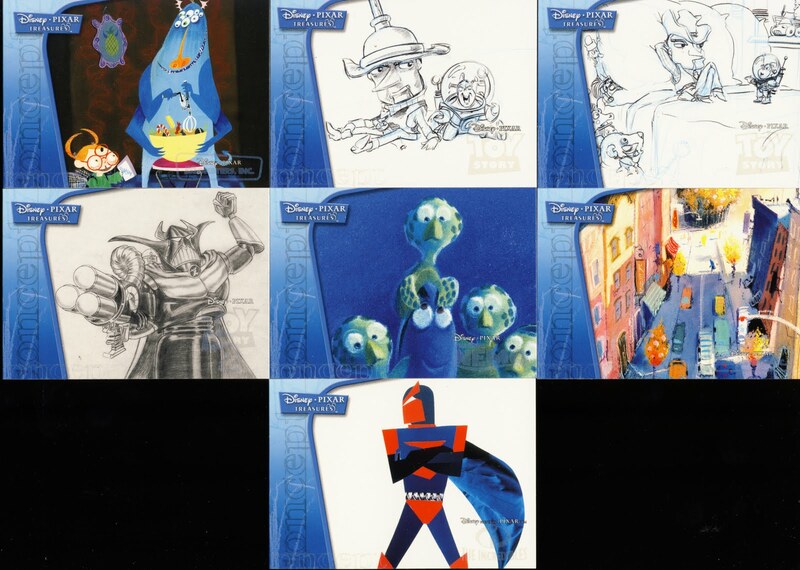 There are 90 movie character cards, 10 Concept cards, 10 Now You Know cards, 10 Outtakes cards, 50 The Incredibles Memorable Scenes cards and 5 Reel Piece of History cards for a total of 175 cards in the Disney Pixar Treasures set. 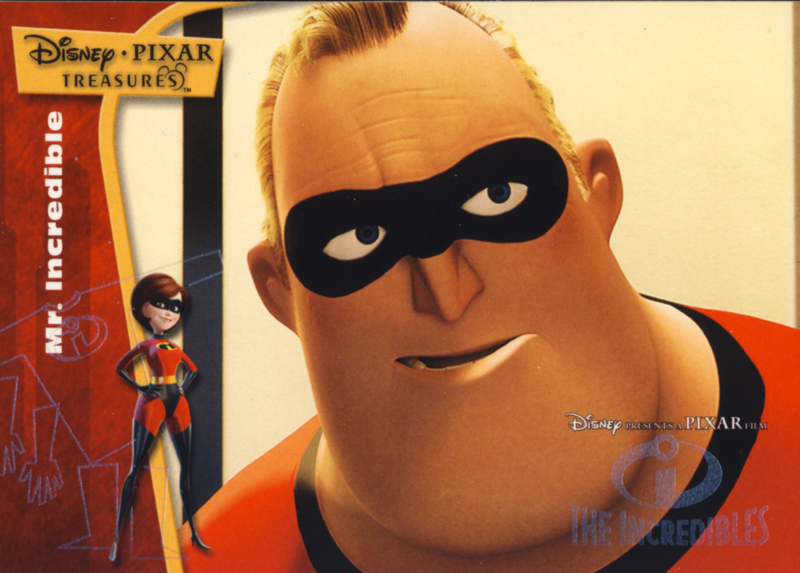 Out of the 120 cards in the box, there were 5 doubles and all of those were in the cards from The Incredibles Memorable Scenes. All in all, a great looking set of cards. 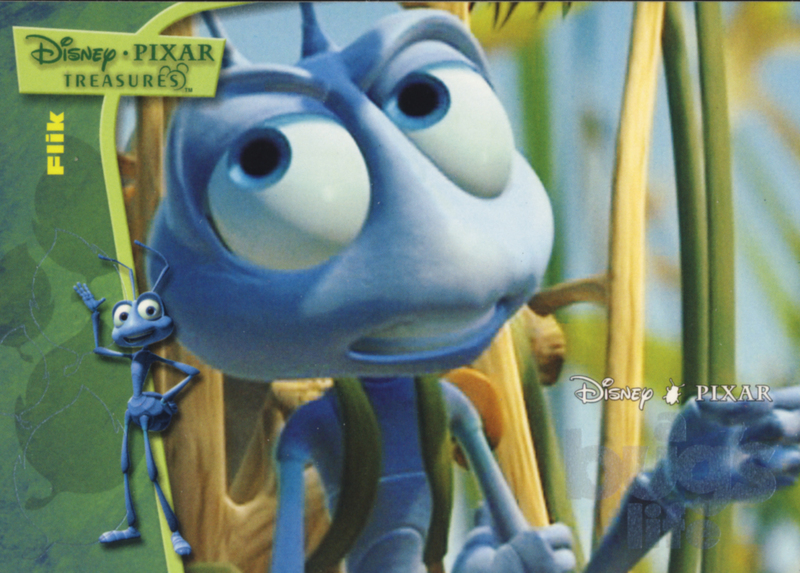 Hopefully there will be a second release of the cards based on the more current Pixar films.